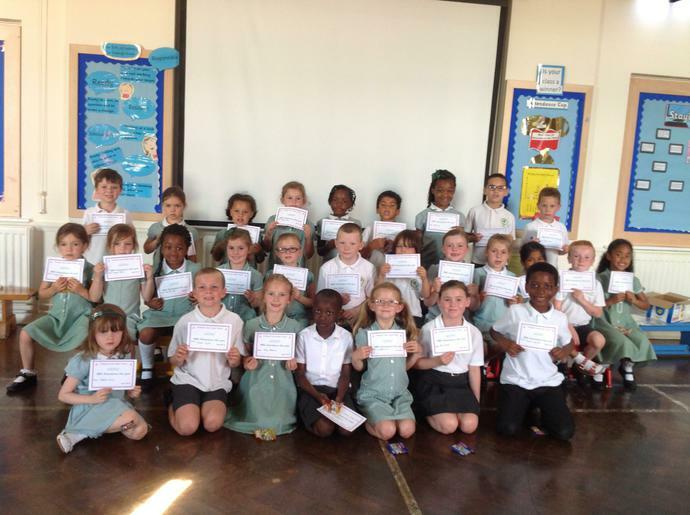 We celebrated attendance in our assembly today. Robins class had the highest overall percentage attendance for the year and we had thirty children with 100% attendance for the year. Well done everyone!